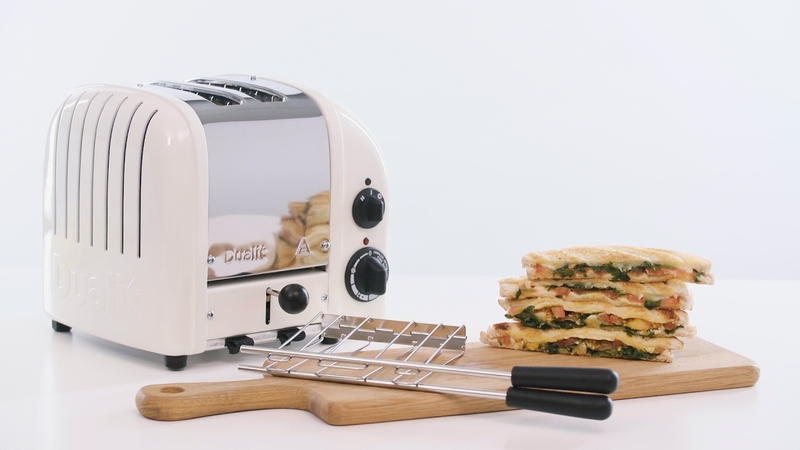 The Dualit sandwich cage is perfect for extending the flexibility of your Classic toaster*. It comes with inspirational recipes to give you lots of ideas for toasted sandwiches that exceed the ordinary. *For Classic toasters made after the year 2000 only.